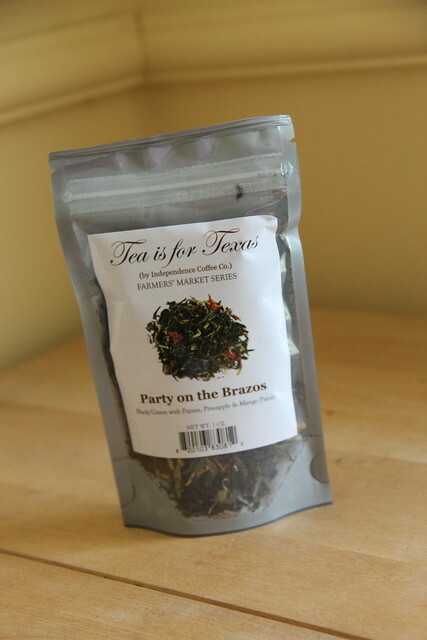 The second tea that my friend K. sent me in my care package was also from Tea is for Texas and is called Party on the Brazos. 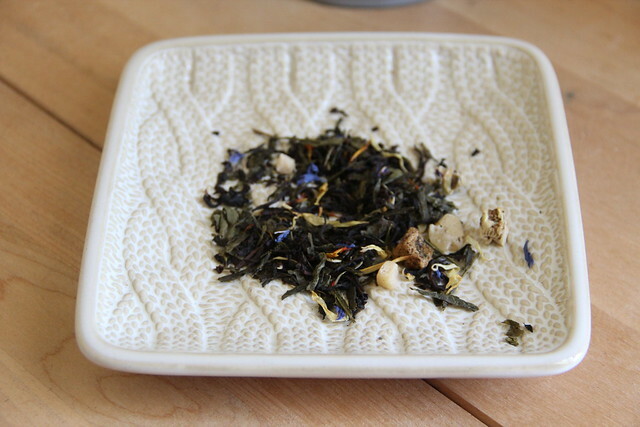 From the package, the blend contains black and green teas with papaya, pineapple and mango pieces. I found the Tea is for Texas tea at the Independence Coffee Company, but it doesn’t appear this blend is currently available on the website. I do note that most of the blends are available for $4-5 per ounce and the website says they are available at Whole Foods stores in Texas. When I first opened the package I smelled the sweet fruits – I also thought I smelled a bit of peach in there but I could be wrong. The packaging lists other “herbs and fruits” so maybe? Once brewing I smelled the papaya and mango. The tea wasn’t as sweet as I was expecting, but it was very tropical tasting. Another summer favorite?